Have a Question about Visiting Boston? Ask, and We'll Answer! 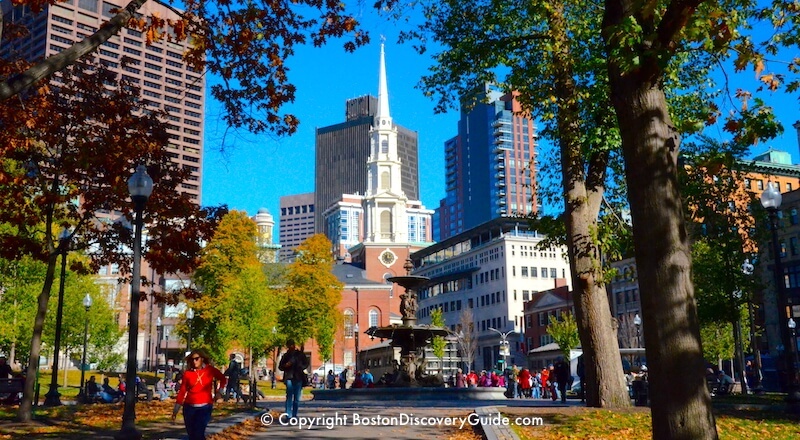 We get lots of travel questions about visiting Boston, and enjoy providing answers. Luggage Storage near Logan Airport during a Layover? Are there lockers at Boston Logan airport to store luggage while you take in some of the sights while waiting for your flight? Or, is there a car rental . . . Arriving at the airport and cruising out in the evening . . . Suggestions for the day? We arrive at Logan Airport in the morning and will be cruising out of Black Falcon Terminal that evening. We're a group of 16, and given that we'll have a luggage with us, what do you suggest for the day . . . ? Running the Charles River Loop . . . Where To Find Water Fountains? I would like to go for a run around the Charles River when I visit, and am wondering if . . . I will be traveling to Boston for the Marathon on April 16th next year, and I would like to travel by RV and camp for a few days with my young family . . .
Is there a record of the high temperatures for each Boston Marathon? I'm planning to run in the Marathon - so I'd like to see what the high temperature was on each day the Boston Marathon . . . I will be getting off the Commuter Rail at Back Bay station on Boston Marathon Day - Monday, April 16 around 1 pm. Will I be able to take a cab from there to my home on Beacon Street . . .
Q: How can we book a photographer to take a picture of one of the runners? A: Great question! I'm assuming you've thought of the obvious things . 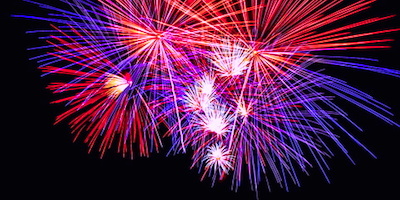 . .
Hotels near Boston CityPASS Attractions - We are going to be in Boston in early July with our 2 kids, and are looking for a hotel close to the Boston CityPASS and the July 4th fireworks show . . .
My wife and I will be visiting the Peabody Museum in June. We will be driving our 31 foot Fleetwood Tioga motorhome (Class C) and are wondering what is the best way . . .
Where can we park an RV in Boston? I'm interested in RV parking near Boston. Are there any RV parking places at or near public transportation to Boston? . ..
Hello! My name is Shelly. I moved to Massachusetts about a year ago but I don't know much about the state. My boyfriend of three years lives in Florida and he is coming to visit . . .
My Fiancé and I plan on going to the Celtics Game Sunday before the Super Bowl festivities/Game start. We are wondering where . . .
Can you suggest which Boston bars are hosting Super Bowl parties where you pay a cover charge and are therefore guaranteed . . . Which statues are decked out in Pats shirts? I want to come in to Boston to celebrate, and don't want to miss . 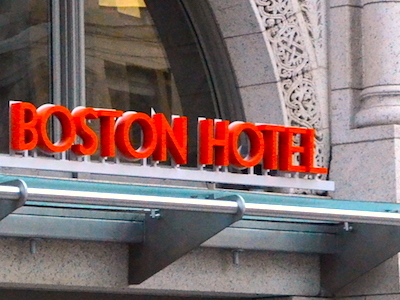 . .
Have any questions about Boston Travel not already answered here? Drop us a line, and we'll do our best to answer. 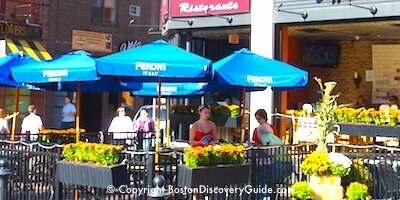 Dining & Drinking in Boston - Find top restaurants and bars in Boston neighborhood, plus top steak houses, seafood, Italian, French, & more!